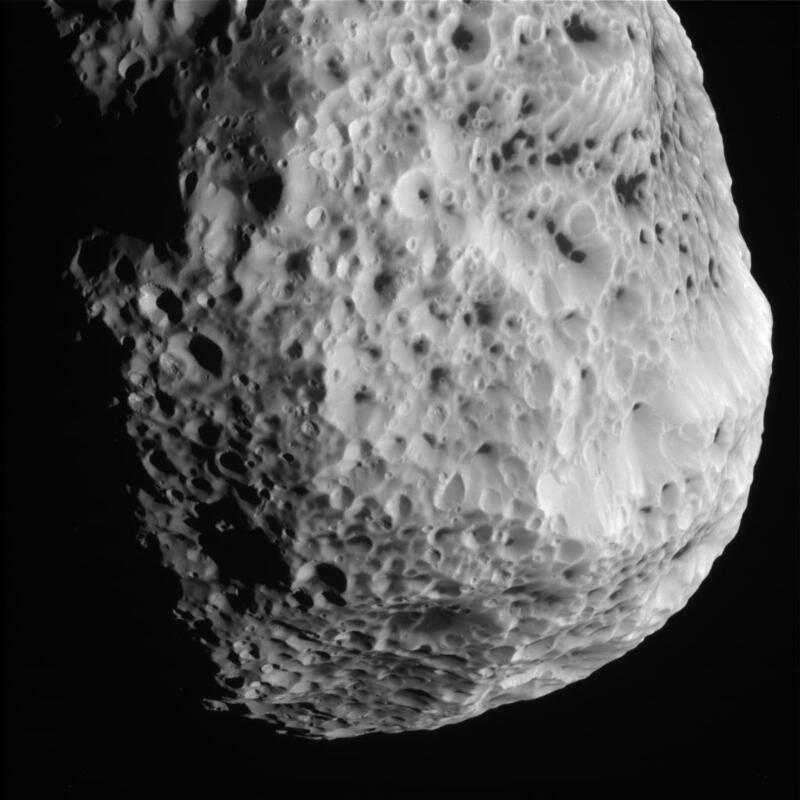 A new view of Saturn’s moon Hyperion was released by the Cassini team during a recent fly-by. The images shows numerous unusually-shaped craters with dark material at the bottom. At around 250 km across, its gravitational pull on Cassini reveals that it is mostly empty space. The unusual crater shapes are thought to arise from surface impacts, which compress and eject surface material, unlike the regular circular shock-wave craters seen on other moons and planets. Link: APOD, June 3, 2015.